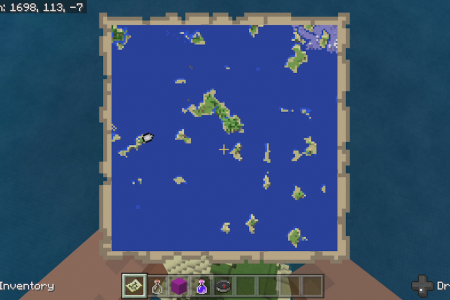 As you can see this is a survival island seed, you start off in a massive ocean biome with little islands here and there, but tons and tons of ocean. 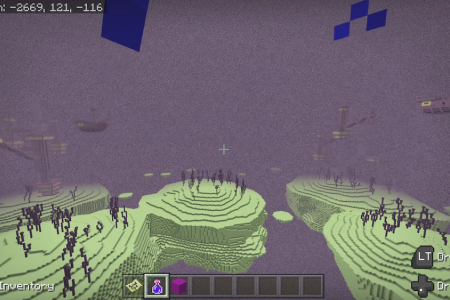 I’ve even included coordinates for 10 shipwrecks on spawn map and I know I didn’t get them all since I noticed a couple as I was recording the video. 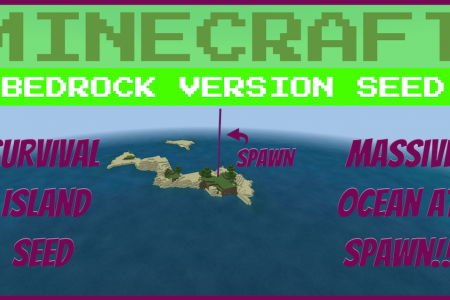 It’s a great survival island seed because the ocean extends beyond spawn map, most of the maps around spawn are mainly ocean as well. 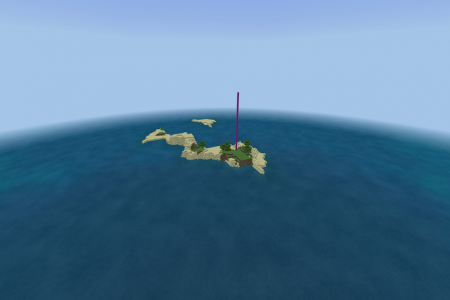 You’ll find the odd island here and there and a few large spurts of desert and savannah close by. 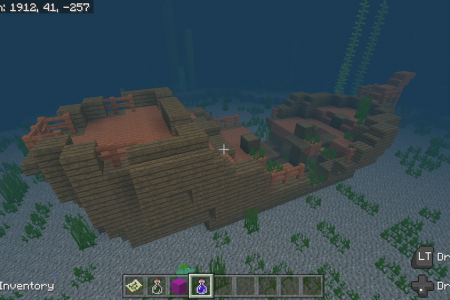 I do include coordinates for a total of 5 ocean monuments on and around spawn. 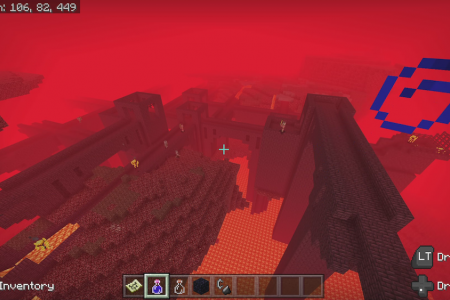 You’ll also find coordinates for the stronghold, nether fortress, and 2 end cities and 2 end ships right next to each other.